This server has received 2229261 hits from both ipv4 and ipv6. 2020Media is a leading UK web host offering Linux and Windows website hosting. The company specialises in WordPress, Joomla and Drupal support. Actually it’s more of a second look. My first look back in April showed a product with a lot of promise but was clearly not ready. Simply put, ZipApp is a free tool from Microsoft to help you build Apps for Windows 8. You don’t need to be a programmer. You get full access to the source code. It’s designed to be simple and quick to get going, with dozens for templates provided. You can create a Zip App account at www.zipapp.co.uk and start to put your app together. This will give you all the tools you need to build an app. There is a small charge for a developer account (individual or corporate) however you get a free developer account with an MSDN subscription if you have one. As an aside, you get an MSDN subscription as part of Biz Spark which can be an extremely cost effective way of getting a load of free software and networking opportunities. Windows 8 Phone has recently been added with Beta support. Then you’ll be able to submit as many apps to the store as you wish. There will be the option to have a third party publish your app too. Microsoft are currently working on a solution to enable people to publish their ZipApp application via a 3rd party, but it’s not ready for broad availability. In effect you would simply press a button and someone else would publish your application using their store account. This option currently leads to a mail form. We added our address to this in April and to date there’s been no response. 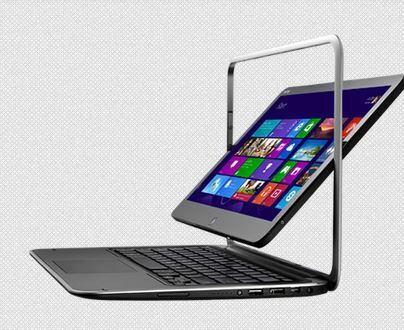 In summary, the tools work really well to create the app, but the unsophisticated developer/designer is left hanging at the end with no way to actually the app onto a Windows 8 device. We recentely created this video to demonstrate how to set a featured image in WordPress 3.5 and above. WordPress 3.5 introduced a new media manager so many how to videos are out of date now. Please let us know have your comments. 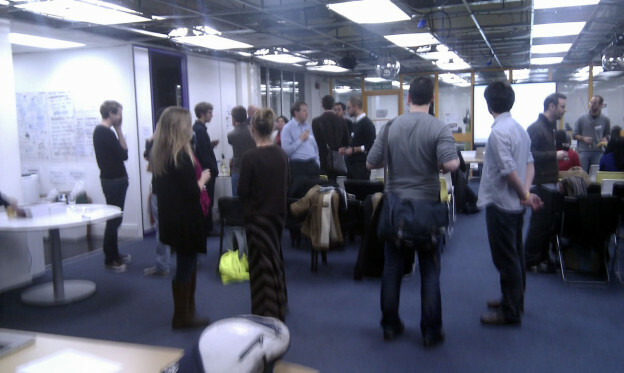 The next London Meetup is just around the corner and it would be great to see you there. It will be taking place on Wednesday 29 May from 5:30pm – 8:30pm (talks starting at 6pm) at Wikimedia UK, Development House, 56-64 Leonard Street, London, LON EC2A 4LT. For those interested in using CiviCRM these sessions are a great way to learn more about how it works and get feedback from those already using Civi. If you’ve previously been to a meetup or use CiviCRM then you already know how great it is but you can still learn more about the different modules of Civi and perhaps get some inspiration of what more CiviCRM can do for you. 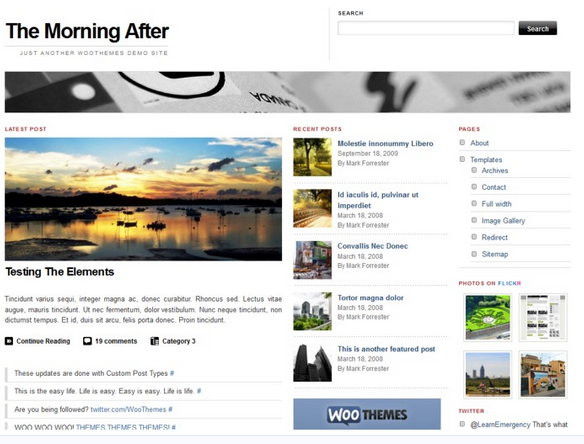 WPMU recently published a post on free WordPress themes from premium theme developers. Theme designers who generally charge for their work, often list a couple of free themes as a showcase. Typically these are hard to find, but this post brings a list of 120 themes together. My only reservation is to check the age of any themes you decide to use – check if it will work with the current WordPress version (and will it be supported in the future). 2020Media’s managed WordPress service keeps WordPress, themes and plugins up to date to your site is safe and secure. 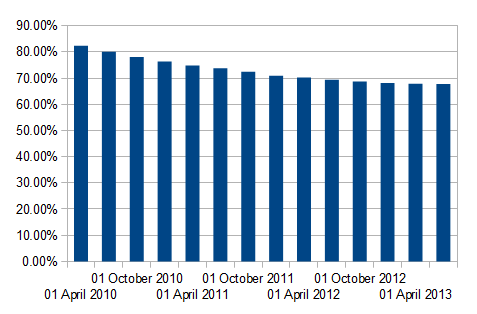 We last looked at market share of web content management systems in 2011 so we thought it was time for an update. Last time we looked, WordPress had a 14% market share of the entire web. Now its higher. WordPress is used by 17.7% of all the websites, that is a content management system market share of 54.9% (as many websites don’t use a recognisable content management system at all). WordPress now claim to serve 65 million websites, up from 50 million 22 months ago. This includes hosted blogs. Joomla has maintained it’s position as No.2 CMS with a 2.7% market share. Drupal is in 3rd place with 2.3%. 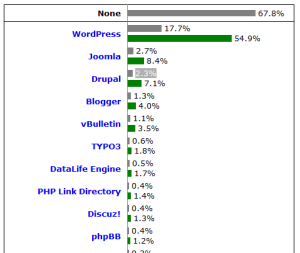 Blogger (Google Blogs) has overtaken vBulletin with 1.3% of the web. 67.8% of the websites use none of the content management systems that are monitored. WordPress is used by 17.7% of all the websites, that is a content management system market share of 54.9%. The trends look good for WordPress. It’s growth continues, and it is actively maintained and updated. New releases are generally welcomed by the community. And not so good for Joomla. However Joomla has been much more active recently, so it will be worth watching to see if it can recover. Drupal appears to be in the midst of an internal restructuring so we will see how things change in the next 12 months. However it’s a firm favourite with a loyal band of developers so it’s not likely to disappear any time soon. This graph shows the decline in websites that don’t use a content management system at all (that we could detect). It’s goes from over 80% in 2010 to under 70% today. That’s a drop of 15% in 3 years. The trend does seem to be flattening out, but here at 2020Media, we would say most – say 70% of new websites we host use a content management system. Content Management Systems (CMS) give non technical people the tools to add/edit web pages. Using a CMS running a website becomes all about the content and not the ins and outs of how it works. With a CMS a user doesn’t need to understand html or any other type of coding, a CMS allows a website owner to concentrate on the important stuff, the content. Lack of personality – many CMS based sites use off the shelf templates and don’t look distintive or truly reflect the company or person they are about. Lack of quality – A CMS can allow anyone to edit the site – and as it’s now so easy, this job is sometimes delegated to someone inadequately trained to do justice to the job. A website is your company or your personality on the web. Should it really be controlled by someone you barely trust to make the tea? Poor design – When designing a site from scratch, a good designer will seek to find the right calls to action. Some CMS based sites are a morass of irrelevant information with no clear priority given to the most important content. But good design work can overcome this and succeed with a CMS. Security – security is the bugbear of all CMS systems – they are victims of their own success and a target for hackers. Bad actors can target thousands of sites with the same attack script and will get some success. A hand coded site rarely gets attacked in the first place – even though it may still contain vulnerabilities. If someone is going after you in particular neither option is a guarantee of safety. 2020Media is a UK host specialising in hosting popular content mangement systems like WordPress, Joomla and Drupal. We also provide standard PHP, ASP, Java and ColdFusion hosting platforms for any website.